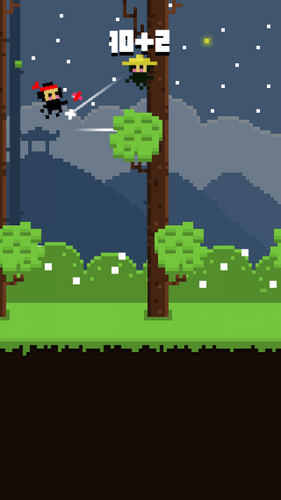 Jump in the woods with a little ninja, fight your foes and get the world record! - Tap anywhere on the screen to jump and throw a shuriken! 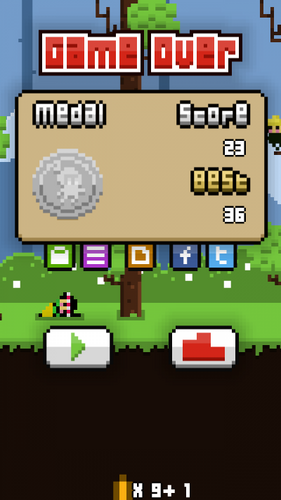 - To show achievements press to show scoreboard button on the home screen.